Although most female-fronted rock bands are immediately compared with Paramore; Stars in Stereo is not one to be thrown into that category. 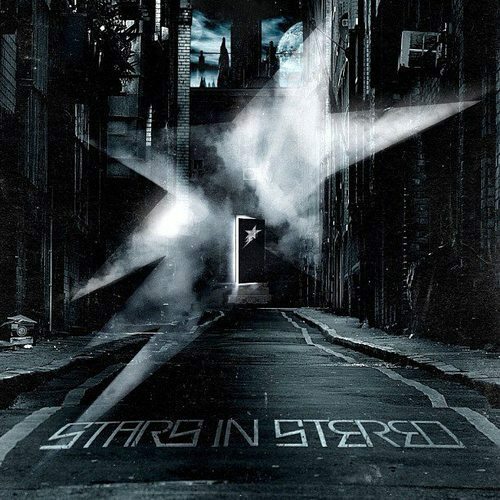 Opening up the album with their powerful single “The Broken”, the listener is quickly immersed in the immense sound and style that is Stars in Stereo. The band quickly proves itself worthy of sticking out with tracks like “Violence” and “Queen of Catastrophe”. Lead singer Becca Hollcraft really shows herself to be the intriguing element in the band with her powerful full-fronted voice. The songs on this album are very well written and hit even harder with Becca’s dynamic voice. With this being the band’s debut album, fans can quickly see that Stars in Stereo is a sound to be reckoned with. The band brings a powerful vocal oriented hard-rock tone to the table, especially with their single “The Broken”. Not only does this song introduce the album, it defines the band’s sound strongly with it’s representation of the singing and song structure. The band takes a stereotypical rock sound and pumps it up with their guitar leads and dynamic drums. The instruments on this album prove themselves a massively sufficient background to the vocals, holding their own and propelling the vocals to the point of view. Although the album has an all around professional sound, it still very much sounds like a debut. The band has a ways to go when it comes to development. They have set themselves up for success but the album still lacks a certain progression that successfully brings it to a close. Another aspect of the album that has room for improvement is the simplicity of some of the tracks on the album. The songs on the debut album are very well crafted, but with a powerhouse of a leading voice and a batch of well written guitar leads, the listener feels the desire to yearn for a higher potential. The band has a very defining sound, but hasn’t quite mastered it. Many of the songs have moving verses and catchy choruses, but a lot more can be done with the instrumental part of the album. The band has yet to take full advantage of Becca’s voice in terms of incorporating it into the flow of each song as well as the album as a whole. Using the lead singer as an instrument rather than a hook can be much more rewarding to both the band and the listener, and this is something that fans can look forward to for Stars in Stereo. Overall this album rings of professionalism and great modern rock songs. Any fan of female fronted bands will be overcome with satisfaction when checking out this band. They have a definitive style and a certain “in your face” attitude to their songs. Definitely keep an eye open for this band as fans everywhere will hear of them soon enough.